Distaff is an Anglo-Saxon word for a very ancient tool. It was a staff on which wool or flax was wound in the process of spinning. It was held under the left arm, and the fibres of the material were drawn from it through the fingers of the left hand, and twisted spirally by the forefinger and thumb of the right, with the aid of the drop spindle, round which the thread, as it was twisted or spun, was wound. I’ve tried this. It is not easy!!! And apparently, as we see in this manuscript drawing, medieval women found other uses for the distaff as well. 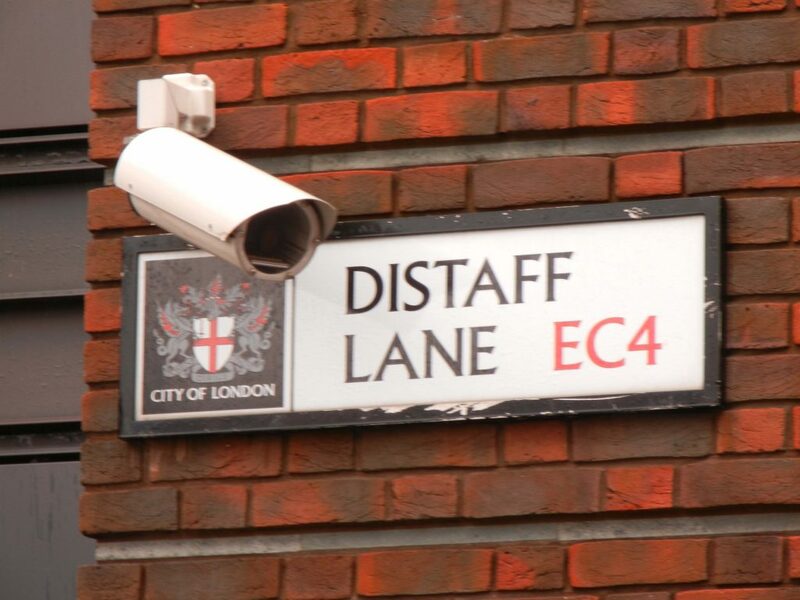 At any rate, in medieval London, if you were looking for someone to spin wool, Distaff Lane was the place to go. It was a road built by the Romans that ran from Dover to Wroxeter, and in the late 9th century it appears as Wæclingastræt. It was significant for the Anglo-Saxons because, from the time of King Alfred its diagonal path from London northward separated the Anglo-Saxons from the Danes who settled in England. Interestingly, as far as I can tell, it ran from Dover only as far as the Thames, then picked up again on the other side of London. 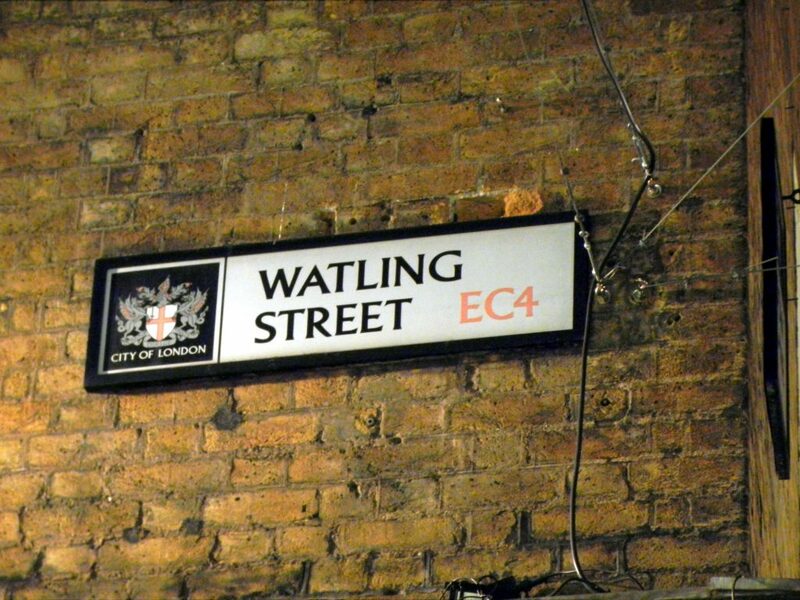 There was no Watling Street that ran through the city. 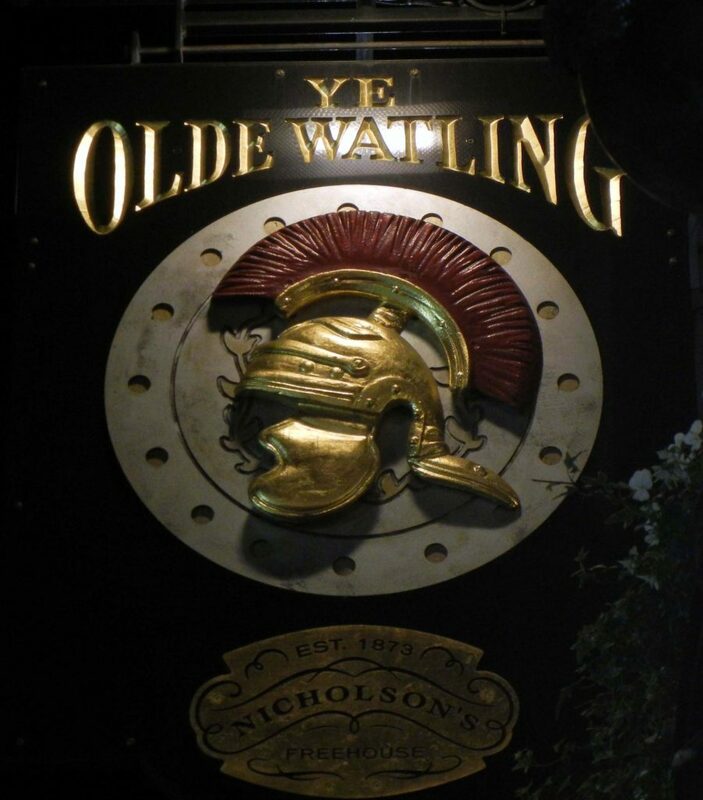 The Watling Street that is there now was originally called Æthelingstrete. An ætheling was a royal son, and this Old English term meant throne-worthy. The late Anglo-Saxon king Æthelred II had several grown sons, all æthelings. And I would bet money that one or more of them had a residence on Æthelingstrete – now Watling Street – at some time in the 11th century. 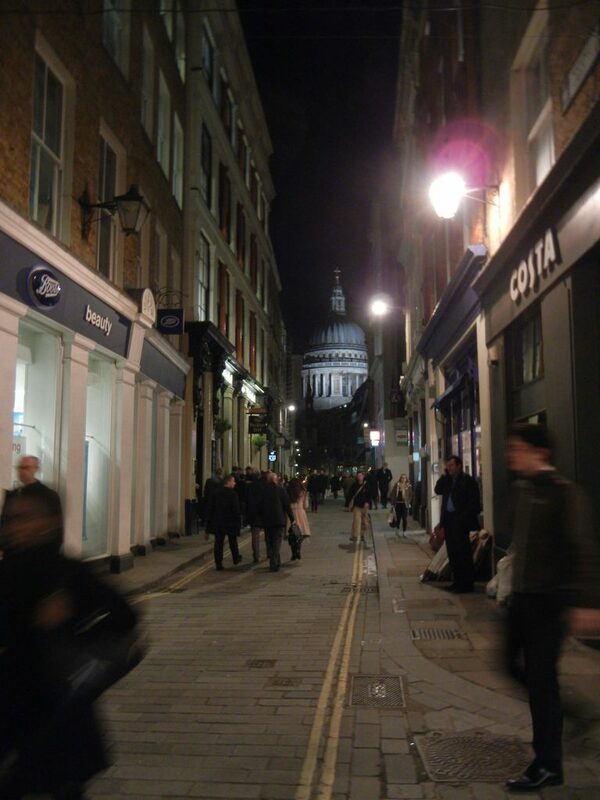 Today the street looks like this, and there’s a nice pub on the corner to commemorate the Legions. 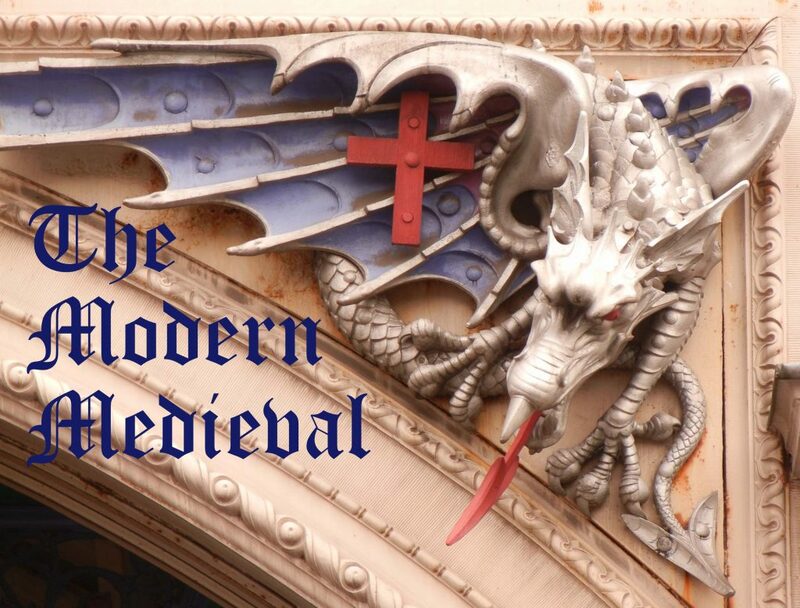 This entry was posted in History, Medieval and tagged aethelings, distaff, London. Bookmark the permalink.